ManufacturerHP Inc.Manufacturer Part NumberV9E67A6#ABAManufacturer Website Addresshttp://www.hp.comBrand NameHPProduct LineBusinessProduct SeriesValueProduct ModelVH22Product NameVH22 21.5-inch Monitor (V9E67A6)Marketing InformationInvest wisely and boost productivity with the TAA-compliant, business-class HP VH22 21.5-inch Display, which has Full HD resolution, four-way adjustable comfort, and is a product of Mexico that complies with U.S. Government procurement policies. Enjoy striking views of your everyday content on the 21.5-inch diagonal panel with sharp 1920 x 1080 Full HD resolution. Reduce power consumption and help lower your costs with an energy-smart, EPEAT® Gold registered3 design. 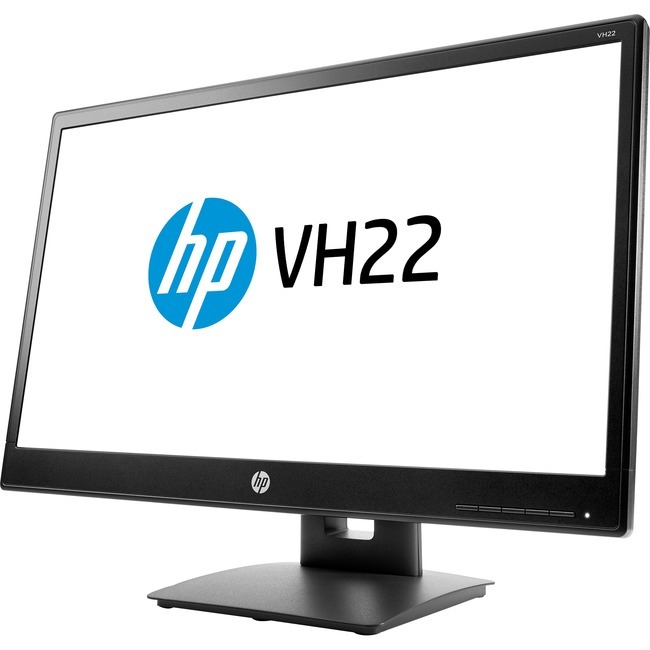 Create a complete solution with HP accessories4 designed and tested to work with your display. Rest assured that your IT investment is supported by a four-year standard limited warranty. To extend your protection, select an optional HP Care service.